What Should I Say When a Child Dies? When you hear that a child has died, what should you say? Just as important, what shouldn’t you say? Every word counts at such an emotionally charged time, and we would all do well to think and pray before speaking to grieving parents and families. 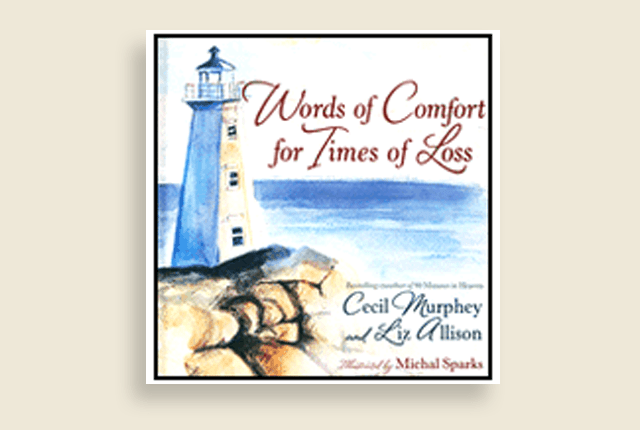 You can find answers and guidance in a new book by Cec Murphey and Liz Allison, Words of Comfort in Times of Loss. The authors have experienced great loss and speak out of compassion and shared grief. Because this topic is so important, they have also created a free document to download, Practical Tips on Grief and Loss. If you know someone who has recently suffered the loss of a child, these tips will be an invaluable resource. Thank you, Cec and Liz, for sharing your wisdom with us. After you read their list, leave a comment about what you learned. Or leave other suggestions or questions about what to say when a family loses a child.